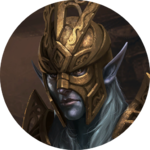 Sotha Sil is a Dunmer Tribunal God and a main character in The Return to Clockwork City story. The events of the Story take place in his Clockwork City. You will have access to Sotha Sil's emotes when you play as him in The Last Stand, The Betrayal, The Red Mountain and The Tools. "I pray to myself that my calculations are correct." "You could never hope to comprehend. You are not Sotha Sil." "Fascinating. An unlikely confluence of events." "That was worthy of gratitude." "I take no joy in your discomfort." "Hm. Not a correct solution." This list contains the dialogue from the memories contained within Sotha Sil's memory stars. The Forgotten Hero discovered the memory stars out of chronological order in which the memories take place. The proper chronological order is: first, the memory experienced in The Red Mountain mission. Second, the memory experienced in The Tools mission. Third, the memory experienced in The Apprentice mission. Fourth, the memory experienced in The Betrayal mission. Fifth, is the memory experienced in The Last Stand mission. Below is the dialogue in the order that the Forgotten Hero discovers the memories, not the order in which they take place. Sotha Sil: "This day has appeared in all my simulations. The end. My dear friend Almalexia has come to kill me. Now, everything depends on my calculations being correct. My machines need 22 minutes to seal the Chamber of Lorkhan. So that's how long I must live." Almalexia: "Your time has come, Sotha Sil! All these years you've looked down on me. Have you any last words?" Almalexia: "Why are you silent? What are you hiding?! Speak, curse you." Almalexia: "Fine then. Die, old friend. Fall before the one true god!" Sotha Sil: "I have done it. I die, but what is death? A natural function. The chamber is sealed, the work begun. It will take approximately 207 years, but what is that? A rounding error." Sotha Sil: "The new Heart of Lorkhan will be completed. And it will power my city for all eternity." Sotha Sil: "I have had so many apprentices over the years. But I believe the man I met today has the potential to rival them all." Mecinar: "Great Sotha Sil. Have I not shown I have the skills to enter the Halls of Contemplation?" Sotha Sil: "You show much promise, Mecinar. Solve this last riddle, and I shall admit you." Sotha Sil: "The apprentice possesses a dangerous intellect. But to suppress such a mind would be a sin against potential, and a sin against Sotha Sil. Sotha Sil: "There was always a 47% chance that Mecinar would seek my power. But he has done far worse." Sotha Sil: "Today I found his… test subjects. Acolytes modified against their will, merged with beasts through steel and sorcery. Beautiful in their way. But abominable. There was only one thing to be done." Mecinar: "You would condemn me? Hypocrite! Fraud! This is what you strive for — The creation of the perfect life form!" Sotha Sil: "I cast Mecinar out of the city. Now, I must rework the enchantments that seal the Chamber of Lorkhan — to ones that Mecinar could never break." Laaneth: "There! I think I can see enough of the new enchantments in this memory to determine how to unravel them! Now we just need to find the chamber." Sotha Sil: "A dark day. Our annual pilgrimage to the Heart of Lorkhan ended in disaster. It was only through a cunning trick that we escaped with our lives." Dagoth Ur: "Behold, arrogant tribunal! The power of the Heart flows through me and my minions. We are the gods now, growing stronger as you grow weaker. It is time to pay for your betrayal!" Dagoth Ur: "You think you have won? I still hold the Heart. Escape while you can, Sotha Sil. I am patient. My victory will come." Sotha Sil: "I have learned. The Heart is too important. A backup must be created. But where to store such a thing? I shall build a new chamber, beyond the Inner Curiosity." Laaneth: "That's it. That's where the heart [sic] must be!" Sotha Sil: "The Heart has become unstable — left unchecked, it threatens to destroy the entire city. No matter the danger, I must venture into the chamber, and devise a way to contain its power." Sotha Sil: "Success! With these tools, modeled after Kagrenac's own, I can control, shape, and even dismantle the Heart if necessary." Laaneth: "That's it! If we can find those three tools, we can destroy the Heart and stop Mecinar!" This page was last modified on 27 January 2019, at 21:31.